It’s nice when business is good, but even better when it’s great, and you find your company flourishing and moving forward seamlessly. Unfortunately, this type of transformation doesn’t happen overnight, which means you need to remain patient throughout the process. You have to be dedicated and committed to consistently improving how your business functions and making sure you’re putting your customers first. Going from simply good to great isn’t easy, but it is possible with the right approach and mindset in place. Now is the time to stop wishing your situation was different and start taking action that will make a real difference in how you operate. You’re not going to get very far with your endeavor if you don’t know where you’re headed. Spend time brainstorming and setting goals that are realistic yet challenging for yourself and your company. Don’t forget to take the time to devise and write a business plan, including specifics for how you’re going to tackle each objective. It’s important that you are on the same page with members of your leadership team and you have support from those who are part of management who can help you execute your plan. You’ll be able to go from good to great when you can follow a roadmap for what direction you want to see your business going in the future. You’ll want a strong and talented team behind you throughout your journey and this means you need to hire wisely. Don’t bring people onboard simply to fill seats and check off an item on your to-do list. Think through who would be the best fit and read over resumes and hold interviews until you find the perfect person for each position. Your business will be able to transform from good to great when you have people on your side who are devoted to helping you achieve your goals. You want to make sure you have the right employees hired before outlining any sort of strategic direction for your company. One way you showcase your expertise to consumers is to launch and manage a company blog. Impress readers and followers by producing high-quality content on a regular basis. If you don’t have available resources in-house to accomplish this goal, then learn more about how you can outsource this task and make sure you’re delivering in this area. 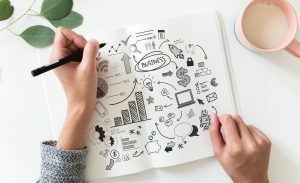 It’s not only an excellent way to enhance your reputation and create brand awareness, but you can also use the content to drive people back to your website in the hopes that they’ll purchase your product or service. Another way to transform your business from good to great is to make it a point to attend to your customer’s every need. Be available to answer their questions and get their issues solved promptly. Put clients first, and you’ll quickly notice that you’re able to bring in additional business and build a book of loyal customers who are willing to spend their money on your products and services time and time again. Don’t be afraid to reach out and ask for feedback or see if satisfied clients will leave a positive review for your business online. Keep in mind that your company will be much better off in the long-term when you have a solid fan club of customers who enjoy doing business with you. You’re going to quickly hit a roadblock and dead-end if you’re always overdoing it and not taking care of yourself. Set limits to how much time you dedicate to the business so you can participate in other activities, such as practicing self-care. Eat healthy, exercise and get restful sleep each night, and you’re sure to perform to the best of your ability when you’re at work. Your business will be much better off if you put yourself first above all else and have the energy to run your operation smoothly each day. Your mood will lift and you’ll be more pleasant to do business with when you’re attending to your own needs first and foremost. You have to be willing to sit down and be honest with yourself about what’s not working if you want to transform your business from good to great. You can’t look the other way and ignore major hiccups that are continuously slowing you down and holding you back. Accept that change is part of business, and then commit to making the proper adjustments necessary to get you back on the right track. Remember that what you’ve always done in the past may not be the answer or solution to how you’re going to be able to thrive in the future. Have confidence in yourself and then be willing to follow through with tough decisions that may not be the most popular amongst the majority. The only way you’re actually going to see your business go from good to great is if you remain disciplined. You can’t constantly be changing your mind and rearranging whenever you become a little hesitant about your choices or run into an issue. Be adaptable, but also be ready to problem solve your way out of each obstacle as they arise. Review your goals often to help you recall what it is you set out to do and how you’re going to get there. Stop second guessing yourself and start getting to work so you can watch the vision you always had in mind for your company come to life. Businesses don’t improve or get better without any effort, so you have to be ready to work hard and keep your head down as you tackle your plan. Transform your business from good to great using these ideas, and you’ll be on your way to experiencing much success for years to come. Enjoy the process and stay flexible as you work through the twists, see what’s working and what areas need to be revised along the way.